Fiesta Time ~ Plant mini succulents and cacti in empty Mexican food cans. 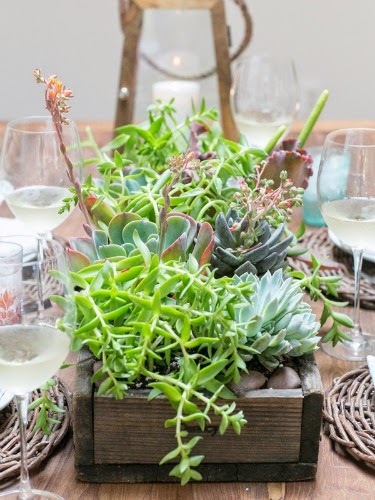 Let these charming centerpieces double as party favors. In Vino Veritas ~ Turn an old wine crate into a blossoming centerpiece, with the help of hydrangeas and a collection of glass jars. 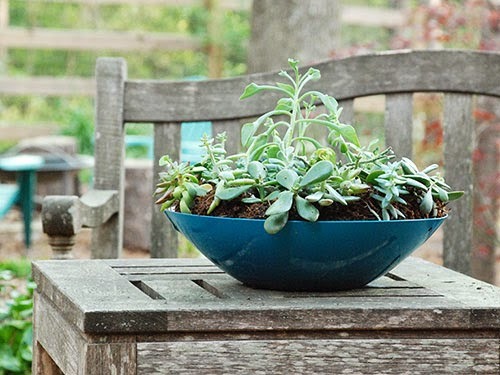 Place taller containers in the middle to give the arrangement more oomph. 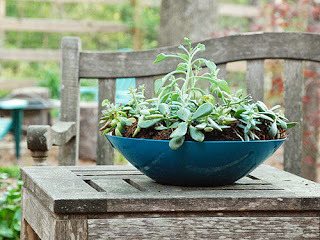 Bug Off ~ Making your own centerpiece doesn’t have to require hardware or paint. 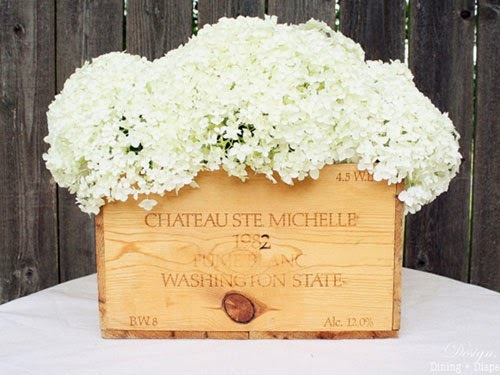 Just assemble complementary items you already own. 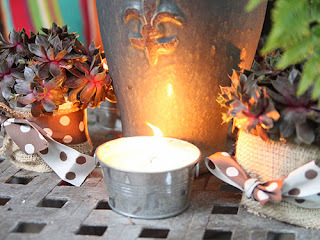 Pick a large object, such as this fleur-de-lis planter, to anchor your piece. Accent it with citronella candles in mini-galvanized buckets and store-bought succulents wrapped in burlap and polka dot ribbon. 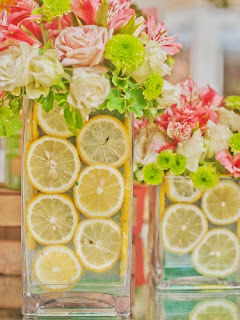 Cheery Yellow Lemons ~ Bright floral arrangements always make for beautiful centerpieces. Add an unexpected — and super springy — twist by lining your vases with lemon slices. Wok the Line ~ Thanks to a can of teal spray paint, this tattered wok lived to see another day. If your cookware is falling apart, remove the handles and drill a hole in the bottom for drainage. 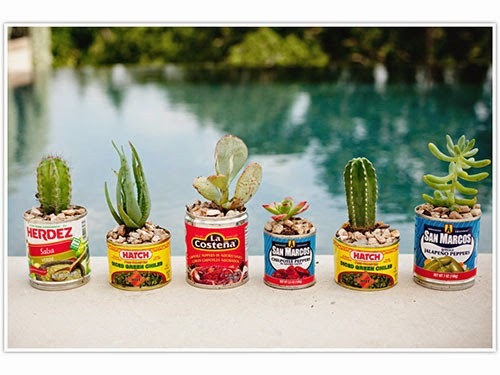 Adorn with succulents or your favorite blooms. Modern Greens ~ Succulents are easy to arrange (and even easier to care for), so this statement-making centerpiece can live in your home even after your party is over.